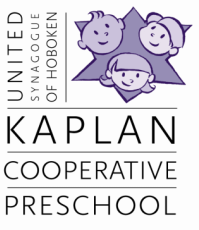 Jewish Stories, Crafts and More - This exciting program was created for children 3-5 years old who attend other preschools. Shalom Chaverim students get to experience some of the fun we have at Kaplan and be part of our community. This is a drop-off program led by our experienced teachers. At the Synagogue, 115 Park Ave.
At Urban Jungle, 1140 Maxwell La. ​Each location will hold 24 sessions over the school year. A calendar will be emailed at sign-up or per request. A Sunday morning drop-off program for children 3-5 years old. This class focuses on the stories, crafts, songs and traditions of the most celebrated Jewish holidays throughout the year.